Avengers: Infinity War had a lot of hype to live up to. Ten years in the making gathers a lot of buildup, not only in the story it’s forced to tell, but in the sheer magnitude of characters that must star in such a massive undertaking. With 20+ big-name celebrities such as Chris Evans, Scarlett Johansson, Chris Hemsworth, Robert Downey Jr. and more, the film has a lot of powerful characters to include. One would think this much power all at one time would create a sort of screen-time tug-of-war. 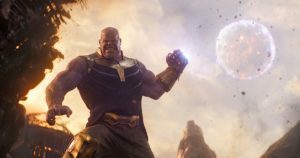 While it can seem like a lot at one time, Infinity War triumphantly succeeds in what it had set out to do. Perhaps it’s because the real star isn’t one of these 20+ headliners, but the leading villain, Josh Brolin’s Thanos. One of the biggest qualms about Marvel films has been its lack of dynamic villain characters. Marvel Studios has not yet had a villain as iconic as DC’s The Joker, as Marvel often fails at developing its villains as well as its heroes. DC even had a film dedicated entirely to villains in Suicide Squad, while Marvel’s villains in film still can’t compare to The Joker’s celebrity. While Thanos still doesn’t reach that level, his super-villain character, nonetheless, is developed far beyond the typical Marvel villain. To Thanos, his ideas are noble. Thanos is intent on completing his mission of “killing people to prevent overpopulation,” letting nothing stop him, not even if it means hurting himself in the process. Yet Thanos is far from the brilliant criminal mastermind, with his “success” coming from his sheer power rather than any sort of brains. Since Thanos is a galactic villain, a majority of the film takes place in outer space, which makes it feel more like Guardians of the Galaxy or Thor than your typical Avengers’ fare. The colors are brilliant, especially in the scenes set in Wakanda, although the CGI at the beginning of the film set in space does feel a bit like being trapped in a video game. Infinity War isn’t particularly inspiring, but it succeeds in what it set out to do. 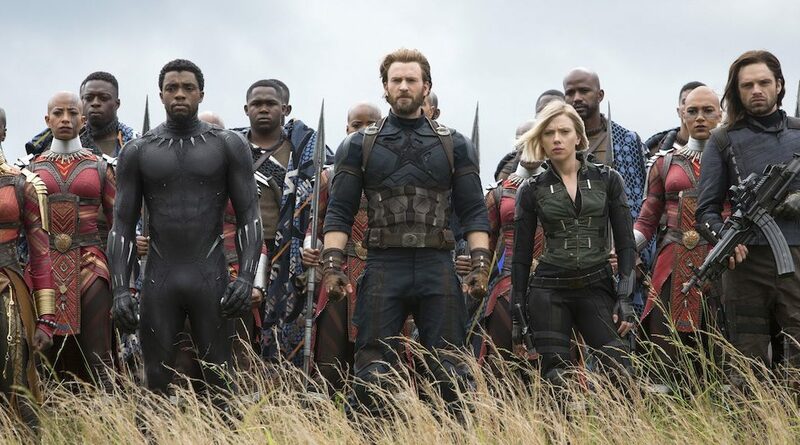 There is a storyline present, but a lot of the potential for the dialogue and story that made Captain America: Winter Soldier so great is overshadowed in Infinity War by battle sequences in an attempt to give every major character in the Marvel Cinematic Universe an adequate amount of screen time. Nevertheless, it manages to set up quite the event in the grand scheme of things, with an ending that will leave viewers shocked. This story is a lot darker than most of Marvel’s films. But at the same time, can it truly all be real? Could Marvel actually carry on this way without any sort of backtracking? Only time will tell where the Marvel movies’ timeline will head next. The answers to these questions will begin to be revealed through the untitled “Avengers 4” next May. Until then fans can tide themselves over with Ant Man and the Wasp on July 6, and Captain Marvel on March 8. Infinity War is not going to make a lot of sense to casual Marvel fans. But to the dedicated viewers, this is a battle that admirably lives up to the expectations.